I am a sports broadcaster for radio broadcasts…emphasis on radio….audio only. I started my broadcasting career in the radio medium and I am most comfortable in the radio medium. Describing what is happening on the playing surface and creating an image in the minds of the listener as they wait with clutched fists, held breath, and closed eyes to hear the words of the broadcaster is intoxicating. I appreciate sharing in the lift of a victory or the crumbling feeling from a defeat with those who listen to the broadcast. Radio is a stimulating medium that requires patience and accountability. You have to listen to what you are saying as you articulate the view from the press box. The fans listening, whether it is five or several thousand, depend on the characterization of the action being played out in front of the broadcasters to be accurate. In radio, dead-air (silence) can be an effective tool to tease the listener. It creates anticipation that is only relieved by the first crackle of the broadcasters mic, which breaks the stillness. Broadcasting sports on a radio, webcast, or any audio only medium offers the opportunity to be the voice of a team to the fans. They rely on the broadcaster to paint a picture in their minds and bring the full cluster of emotions of a live sporting event straight to their hearts. Television, however, is a completely different medium that requires a different skill set and different preparation. I became a sports broadcaster in 2005 for Kennesaw State University. The Owls had won a National Championship in D-II men’s basketball in 2003- 2004 and made the jump from the Peach Belt Conference into the Atlantic Sun Conference. The move into Division-I meant more media exposure. Craig Corbin and former Owl great Scott Webb provided the radio play-by-play and color analysis. David Albert and I provided conference television commentary. 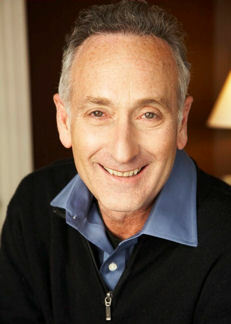 Former voice of the New York Yankees, Dave Cohen, was my broadcasting instructor. He warned me of the challenges in television broadcasting. Rule #1: Do not give play-by-play descriptions to the audience, because they are watching the action and will find it condescending to be told what they are seeing. For a radio guy, this was offbeat. I was used to vocalizing the images I was witnessing in detail. My very first television broadcast, I broke rule#1 for a solid 40 minutes. Rule #2: Don’t break rule #1….Dang it, I was 0-for-2. I watched the video replays of the games and it was immediately clear that I was giving a radio broadcast for a televised game and it didn’t work. Through the years, I have split the season between audio only and televised broadcast. All of the non-conference home games at Kennesaw State were webcast on KSU All Access while the conference games being broadcast on ASun.tv. It was a good mix, but I enjoyed the radio broadcasts so much more. During the audio broadcasts I felt more of a connection with those listening. I knew at times there may have only been a handful tuning in, but it didn’t matter. I was having fun, I was learning, and I was court-side for a D-I basketball game. It didn’t get any better. As the 2013-2014 season approached, Kennesaw State was awarded the ESPN3 package from the Atlantic Sun Conference. That meant all of the Kennesaw State Conference games would be on ESPN3. The Kennesaw State Sports Information Director, Al Barba, approached me with being the play-by-play announcer for the ESPN broadcasts. Even though I consider myself a radio-kind-of-guy, I’m no idiot and this was a huge opportunity. Before I sat behind the mic, I had to be approved by ESPN for their broadcasts. Al sent a sample of my work to ESPN and I was approved, which I believed to be validating. I am a confident person, but it is always nice to be endorsed. With Kennesaw State men’s basketball opening the season hosting their own tournament, I knew the ESPN brand would be rolled out. 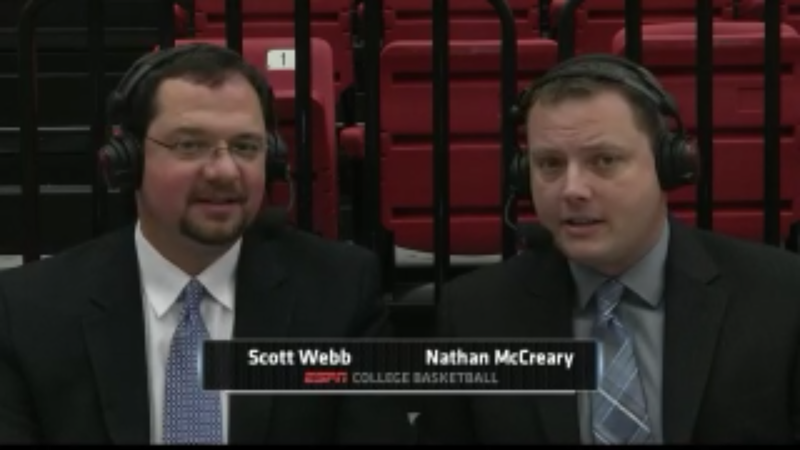 Scott Webb was brought back to the broadcast for the ESPN games as a color analyst. I received word that the game on November 3rd versus Florida International would be the first broadcast about a month in advance. The preparation began immediately. Scott and I arrived at Kennesaw State’s arena two and a half hours prior to the start of the game. We had been speaking the entire week leading up to the broadcast. We both had done plenty of preparation, but with a new season and a new head coach, Anthony Evans, for Florida International and an entirely new line up for both teams, anything was possible. It was difficult to pin point players to watch, but we had a great assortment of story lines. As the game approached, I was eager to get started. I knew the hurdles in the broadcast would be remembering I had to be neutral and not a homer, like in the KSU broadcasts. I knew this would be my greatest challenge for both of us as we are both KSU alumni. With Scott and I having not worked together, I knew us having good chemistry would be important. The final hurdle would be working through the first ESPN basketball broadcasting with the ESPN director, Scott Hinkle. Scott is a great director and has a very easy way of calling shots and communicating with the talent. However, this being everyone’s first basketball broadcast for ESPN there would be some hiccups. How we handled the glitches was key. As the game began, Scott Webb and I did gel quickly, so that was not an issue. There were some technical issues, but we all worked through them. The game had a nice flow, but Kennesaw State fell 66-58 to FIU. The Owls had a chance to tie the game late, but FIU’s Raymond Taylor hit a fall away three-point shot to ice the game for the Panthers. As the basket fell for FIU, Scott and I both moaned in agony as our hearts were with Kennesaw State…and it showed. Our team had lost and the first ESPN3 broadcast was over. I went home and watched the replay. I am my biggest critic , so I made a list of areas that I would like to improve upon. This is a great opportunity for me personally and a great experience to be a part of an ESPN broadcast. I still love the radio broadcasts, but I am not complaining. The next ESPN broad cast for us January 4th at the KSU Convocation Center, Kennesaw State vs ETSU. Posted on December 7, 2013, in Uncategorized. Bookmark the permalink. Leave a comment.